What started as something to make him standout in prep school, has quickly turned Kiel James Patrick into a brand. 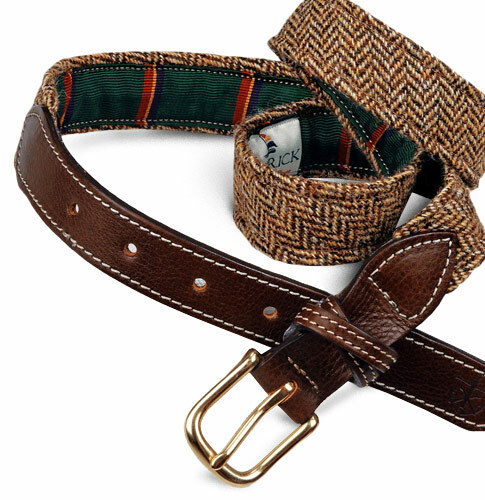 Patrick started out by combining classic fabrics and old world patterns to create belts and bracelets for himself. After dropping out of college to model, friends and stylists started to take notice of his hand-made accessories and before long, the hobby had turned into a business. We caught up with the man to talk about building a brand and American made quality. The first year, I was limited to the one product I could produce myself above my parents' garage with one sewing machine. I had a solid business plan and knew I didn't want a boss, overhead or debt so I stuck to sewing bracelets. 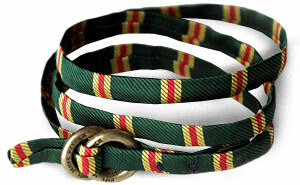 The first bracelets were made of fabrics I cut from my own collection of neckties, belts and blazers that I had acquired through family and thrifting. I sold bracelets at craft shows which then lead to building a website, which then lead to building distribution to boutiques which quickly lead to distributing worldwide. It's all about improving ideas, products and branding each day and making them better than the day before. Are you considering venturing into clothes? We've actually already begun. The biggest obstacle is the production costs involved with keeping my brand "American Made." I've been spending the majority of my profits on finding the machinery required to build my own production factory here in New England. All my free time has been meeting with the key people who know how to operate this machinery and manage a full-fledged production. Try calling up a cut-and-sew shop out of the blue. It isn't as easy as you'd think. Do you worry that this "preppy" moment will end? Ultimately quality has influenced my style. I do not deem myself "preppy" per se, but instead a man who seeks quality materials, craftsmanship and well thought out design. 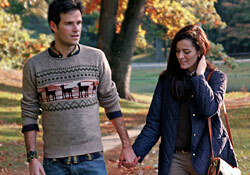 Which often times is recognized as "preppy," as classic attire is almost always well-crafted. All of Patrick's fabrics are bought from Boston and Rhode Island, while each piece is produced in his home state of Rhode Island.